<i>SOLANUM </i> L., the largest genus of the Solanaceae family, varies …… morphologically and is ecogeographically distributed. 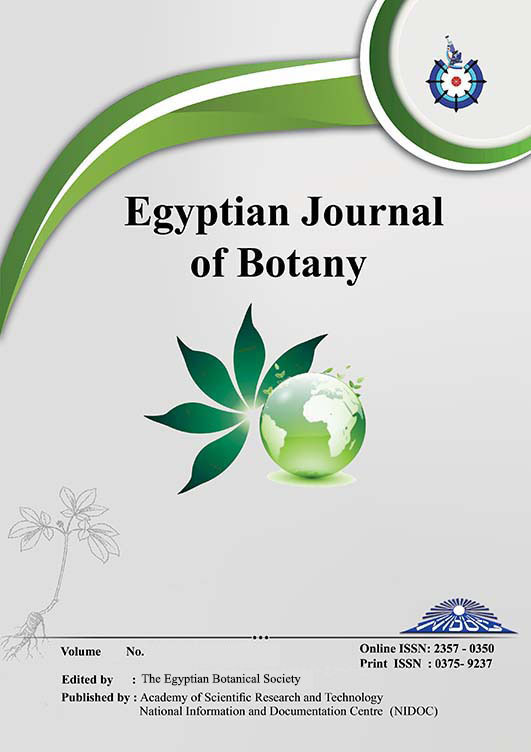 In Saudi Arabia, previous studies for characterization and genetic variability of Solanum had focused mainly on chromosome morphology, genome description, and medicinal values, which are insufficient for genetic affinities. This investigation assessed molecular diversity of some species of Solanum from Taif highlands based on random amplified polymorphic DNA markers and proteins by SDS-PAGE. From 25 random primers investigated, 11 primers gave reproducible amplification banding patterns of 208 polymorphic bands scoring 100% polymorphism across the genotypes. Primer OPA-09 generated maximum polymorphic pattern, whereas primers OPP-10, OPN-13, and OPN-05 produced minimum polymorphism. The size of the amplified products varied from 265 to 2003bp. SDS denatured protein gels resolved 51bands most of them were not shared and some were unique and can be correlated with the DNA polymorphism. Based on these markers, genetic similarity coefficient was calculated and a dendrogram was constructed.